It is often assumed that children’s behavior is worse than it used to be. To test this assumption, it is necessary to use the same procedures to assess representative population samples of children at two or more widely separated points in time. This has been done with the CBCL, TRF, and YSR in the U.S. and The Netherlands. From 1976 to 1989, U.S. children’s CBCL/6-18 Total Problems scores showed a small increase but from 1989 to 1999 they showed a small decrease. Similar patterns were found for TRF and YSR problem scores over shorter periods. 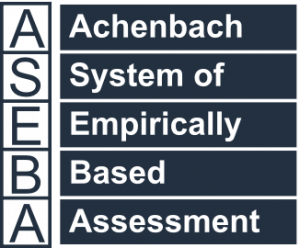 Problem items that were rated high, medium, or low at the initial assessments tended to retain the same rank orders at the later assessments (Achenbach, Dumenci, & Rescorla, 2002a, b, 2003). Over a 20-year period, CBCL/6-18 and TRF scores for Dutch children showed considerable stability, although there were small increases in problem scores (Tick, van der Ende, & Verhulst, 2007). Over a 10-year period, Dutch YSR scores showed minimal changes (Tick, van der Ende, & Verhulst, 2008). And over a 14-year period, Dutch preschool children’s CBCL problem scores also showed considerable stability, although there were slight decreases in scores on some scales (Tick, van der Ende, Koot, & Verhulst, 2007). To test changes in problems reported for Brazilian children, Matijasevich et al. (2014) had interviewers administer the CBCL/4-18 to mothers of 634 4-year-olds living in Pelotas, Brazil in 1993 and to a new sample of mothers of 3,750 4-year-olds in 2004. Significant increases in scores were found on several problem scales for both genders, especially for Aggressive Behavior, where the effect size was d =0.5, which is medium according to Cohen’s criteria. The increase in scores for Aggressive Behavior contributed to increases in Externalizing and Total Problems scores. Small but significant decreases were found in Attention Problems scores for both genders (Cohen’s d = 0.36). The increases in Aggressive Behavior scores were not accounted for by changes in familial or maternal characteristics that were analyzed. However, the authors pointed out that the increases in problem scores “could reflect broader changes in the local environment in terms of insecurity and violence . . . Criminal indicators in Pelotas showed that the number of criminal offenses at least doubled between 2002 and 2011” (p. 1131), although such data were not available for the 1993-2004 period spanned by the comparison of CBCL scores. When changes in problems reported for children at different points in time are assessed empirically, substantial increases in Aggressive Behavior problem scores were thus found for Pelotas 4-year-olds, but changes for Dutch and American children were minimal. Similar studies of other cohorts compared over different periods might yield different results. However, empirical comparisons of population samples assessed by the same methods are needed to obtain evidence on whether problem levels are changing. Achenbach, T.M., Dumenci, L., & Rescorla, L.A. (2002). Is American student behavior getting worse? Teacher ratings over an 18-year period. School Psychology Review, 31, 428-442. Achenbach, T.M., Dumenci, L., & Rescorla, L.A. (2002). Ten-year comparisons of problems and competencies for national samples of youth: Self, parent, and teacher reports. Journal of Emotional and Behavioral Disorders, 10, 194-203. Achenbach, T.M., Dumenci, L., & Rescorla, L.A. (2003). Are American children’s problems still getting worse? A 23-year comparison. Journal of Abnormal Child Psychology, 31, 1-11. Matijasevich, A., et al. (2014). Increase in child behavior problems among urban Brazilian 4-year-olds: 1993 and 2004 Pelotas birth cohorts. Journal of Child Psychology and Psychiatry, 55, 1125-1134. Tick, N.T., van der Ende, J., Koot, H.M., & Verhulst, F.C. (2007). 14-year changes in emotional and behavioral problems of very young Dutch children. Journal of the American Academy of Child and Adolescent Psychiatry, 46, 1333-1340. Tick, N.T., van der Ende, J., & Verhulst, F.C. (2007). Twenty-year trends in emotional and behavioral problems in Dutch children in a changing society. Acta Psychiatrica Scandinavica, 116, 473-482. Tick, N.T., van der Ende, J., & Verhulst, F.C. (2008). Ten-year trends in self-reported emotional and behavioral problems of Dutch adolescents. Social Psychiatry and Psychiatric Epidemiology, 43, 349-355.